This book changed the way I read the Bible. It changed how I view the comforts of my life in the US. It challenged the way I think about my role in the Great Commission. 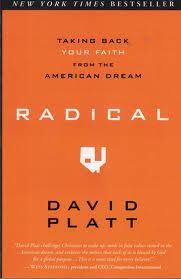 The cover art is really appropriate, because David Platt’s words have the potential to turn your life upside down. Wow. 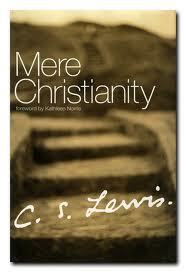 C. S. Lewis had such a unique insight on the world in light of who Christ is. 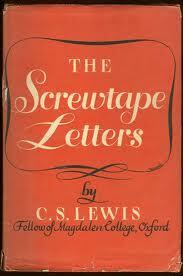 This book is a fictional collection of letters from a “wise” and seasoned demon, Screwtape, to his younger “nephew,” Wormwood. Interesting, unusual, full of “ah-ha’s” and a little dark, this book kept me up at night. In the last year or so I’ve re-discovered my love of fiction. 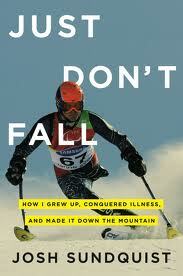 When I was a little girl I eagerly awaited the days that my dad would bring home a new book for me to read. I would tear it out of his hand and immediately curl up on the couch with it, not moving until my parents forced me to get up and eat or go play outside. Somewhere along the way in college, I started feeling guilty for reading anything that didn’t make me a “better person” for having read it. But lately I’ve once again started savoring the simple joy and escape that a good fiction book can bring. These books by Emily Giffin are no exception to that. There’s just something fun about reading about drama that’s not your own. 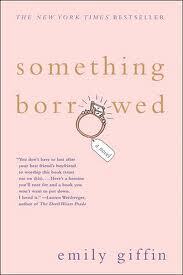 Something Blue is the sequel to Something Borrowed. I couldn’t get enough of the life decisions and adventures of Rachel and Darcy. Love the One You’re With is a different story line with different characters, but has the same feel and writing style. 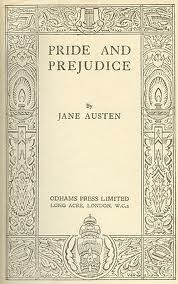 After reading some semi-trashy chic-lit, I made myself feel better by reading a classic. 🙂 It took me forever, because the Victorian English diction was exhausting for me to read. I usually read 1 chapter a night before falling asleep. But the extra effort and time was well worth it. It’s a classic for a reason. I’d heard all about this series for years. I was skeptical and never really had a desire to read it. But over the summer I was in a Borders in DC that was having a going out of business sale. I saw the first book on-sale for $7. Why not? I absolutely devoured the book – a fictional account (based on scripture) of the Rapture and the Tribulation period that follows. I’m currently finishing the third book and about to start the fourth. The series is long – 16 books – and I’m not sure I’ll stick it out for all of them. But for now I’m captivated. Have you read any of these? Let me know what you thought. Also… I’m looking for books to add to my “Must Read” list of 2011. What do I need to add?